CCA Kids Blog: Rare Artist Competition! 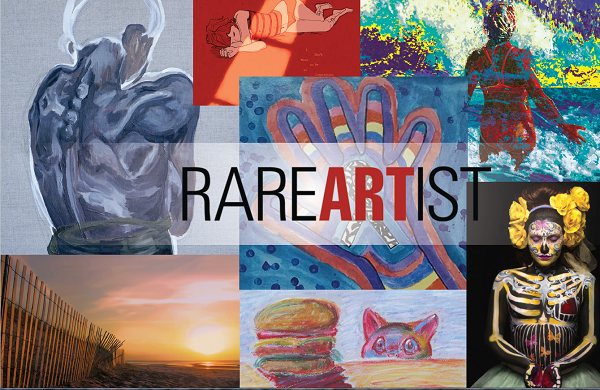 The 8th annual Rare Artist contest is underway, and we hope to engage even more members of the rare disease community in order to raise awareness of their diseases and showcase their talent. In order to reach new audiences, we’re asking other rare disease organizations to help spread the word about this year’s contest. We will highlight organizations that have 10 or more participants in this year’s contest on the Rare Artist Facebook page and Foundation Twitter account. To be featured, email the program manager, Grant Kerber, at gkerber@everylifefoundation.org with the name and category of each of the ten participants, as well as a brief blurb (3-4 sentences) about your organization and how art affects your patients’ lives. Each artist may enter one piece in the contest, and two awards will be given out in each category: one by popular vote and one decided by a panel of rare disease community leaders. The deadline for entries is December 5th, 2016. Award recipients will have their work displayed at our Rare Artist reception to be held onMarch 1st, 2017 in Washington, DC in conjunction with Rare Disease Week on Capitol Hill. Artists with works chosen for this reception will be eligible for travel stipends to provide the opportunity to see their work displayed on Capitol Hill. For additional information including the governing rules, please visit the contest rules page. To enter, each artist should visit the Rare Artist Facebook page and submit the artwork in the appropriate category. Voting will be open through December 12th and people can vote once every ten days, so it is beneficial to submit an entry early in the process and share it with friends, family and patient communities. Award recipients will be announced in early January. We are excited to see the entries from the rare disease community this year. If you have questions about the contest, please email the program manager, Grant Kerber, at gkerber@everylifefoundation.org.